This home qualifies for a NO CLOSING COST LOAN, saving you THOUSANDS! Awaiting your arrival is this lovely 3 bed, 2 bath home located in desirable Fieldstream North. 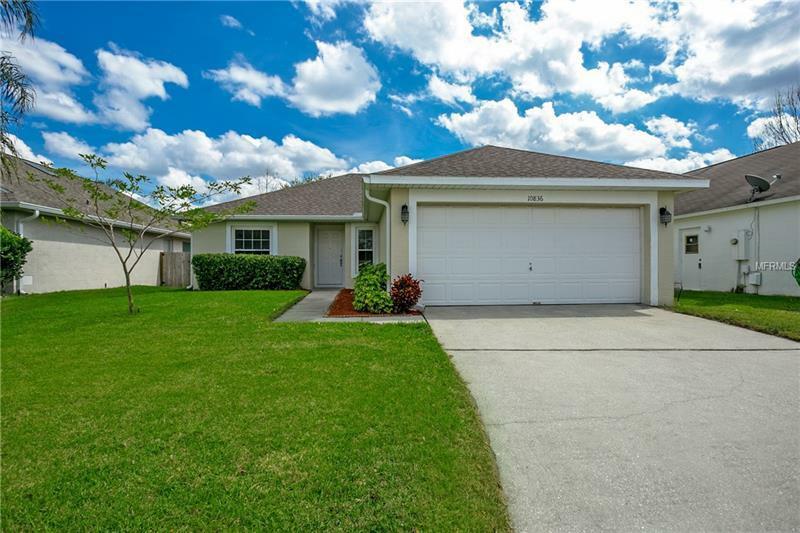 Offering a welcoming split floor plan, vaulted ceilings, two car garage, tile flooring throughout, NEWLY REMODELED BATHROOMS, NEW ROOF ( 2015) , NEW A/C (2016) and NEW EXTENDED PATIO. Spacious Master bedroom offers NEW wood look tile flooring, walk in closet(s) and luxurious master bathroom with dual sinks, new vanity, fixtures and floor to ceiling tiled shower. The other two bedrooms are generously sized and share a nicely appointed bathroom. The back yard is fully fenced and features a new paver patio perfect for hosting BBQâs or a safe place for kids and pets to play. All this Located near Downtown Orlando, Waterford Lakes Town Center (shopping & dining), Orlando International Airport, University of Central Florida (UCF), Florida East Hospital and Valencia Community College. Just minutes from the 408 & 417 expressway and other main roadways.